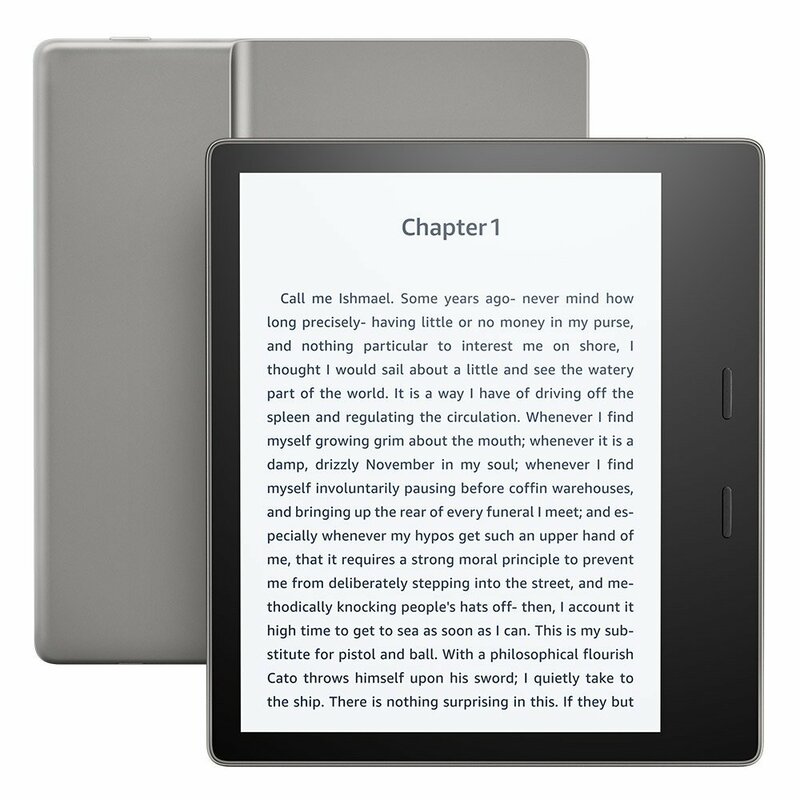 Given the recent number of sales on Amazon’s Kindle line and the upcoming 10th anniversary of the release of the original Kindle, many, including myself, expected the announcement of a new Kindle was in the works. Today, Amazon announced an all-new kindle Oasis. The new device has a larger, 7″, 300 ppi display. The device is also waterproof, a feature that many other high end e-readers already have and one that many customers have been asking for. The device is IPX8 rated, which protects against immersion in up to 2 meters of water for up to 60 minutes. According to Amazon, there are also battery improvements to the new device. Probably one of the most frequently requested features for the Kindle is for the return of the text-to-speech features for the e-Ink devices. 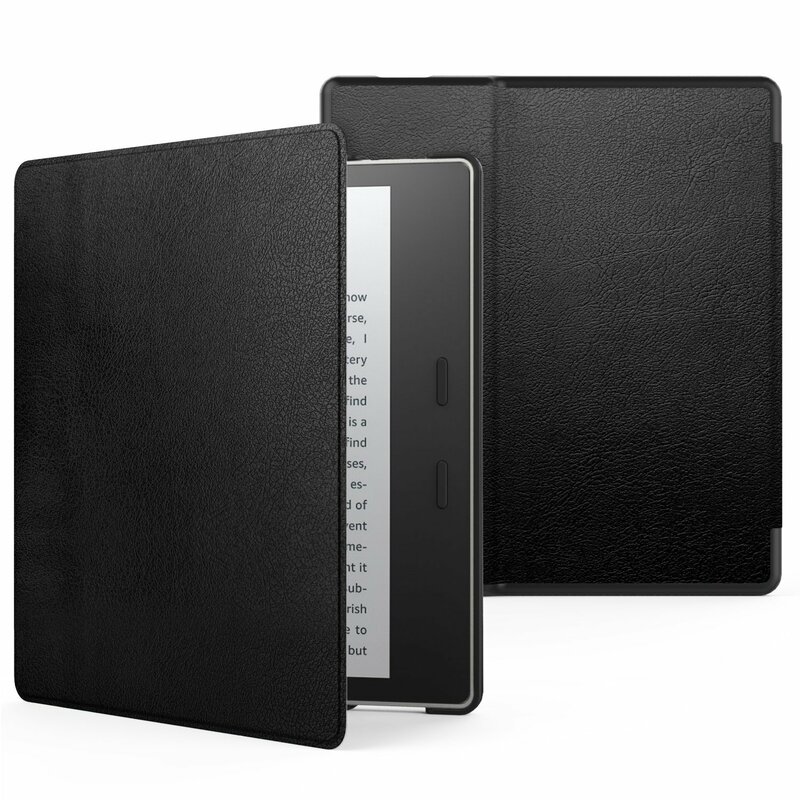 The TTS function was a feature in the earlier Kindle models and is currently available on e-ink Kindles only via the use of a special adapter. Built in, it is presently only an included feature on the Fire tablets. While Amazon has not restored text-to-speech in this new device, they have integrated Audible audiobooks with the Oasis. (See here to learn about Audible.) This device still doesn’t have a headphone jack or speakers and instead uses a Bluetooth connection to provide audio. You must provide your own Bluetooth headphones or speaker. The Amazon description says,”With Audible built in, you never have to put your story down and can switch easily between reading and listening without changing devices.” It is unclear if that implies whether this model will be capable of enhanced Immersion Reading, which allows for both audio and reading highlighted text at the same time. Because this device is designed to work with Audible files which are quite large, the device comes with more storage and more storage options. It is available in an 8GB configuration which is twice the amount of storage included with the original Oasis. The device also comes in a 32GB configuration, which will be helpful for storing the larger file sizes associated with audio books, comic books, etc. One of the most interesting changes to the new Oasis is the fact that it does away with the integrated battery cover of the previous model. (You can read my views on that cover here.) The previous model’s covers were only available in leather, a fact that was upsetting to many who preferred a vegan option for a cover. This model’s covers come in a variety of colors in both fabric and leather options. All models are available for pre-order now and will start shipping October 31, 2017. 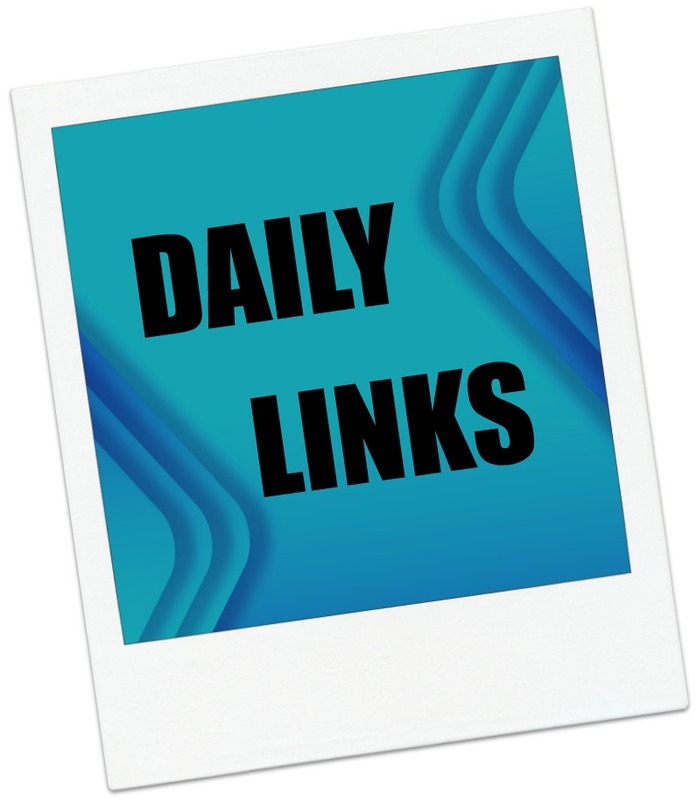 The Amazon Kindle team posted a notice on the Kindle Customer Forums that they will be hosting a discussion there starting at 7 a.m. Pacific time on Monday, July 18, 2016. The purpose of the discussion is to share feedback with the Kindle Team on how they can interact more meaningfully with Kindle Customers. 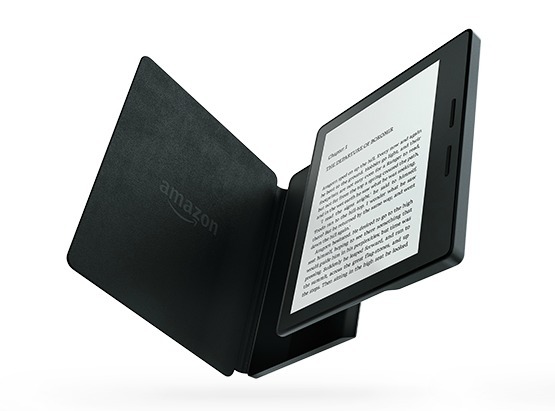 During the discussion, the Kindle Team will be providing links to participants where they can enter giveaways for two Kindle Oasis e-readers. Amazon staff will be online in the forum from 7 a.m. PDT to approximately 11 p.m. PDT on Monday night and then back for a short while on Tuesday morning. I am interested to see how this discussion goes. Generally speaking, Amazon representatives rarely post on this particular forum. This is a customer forum and, while people post questions and seek help with device questions, it is typically customers helping other customers. As with any loosely moderated forum, there can sometimes be a fair amount of trolling and snark on the boards. Personally, I would love to see more official Amazon involvement on the forum. Have something you want to let Amazon know? The Kindle Customer Forum is located at https://www.amazon.com/forum/kindle/. Today, a look at proposed book industry changes in Australia. Also, the US House blocks Google and Yahoo services, consumers want Netflix to stop blocking VPNs and asking if the $300 for the Oasis is worth it. 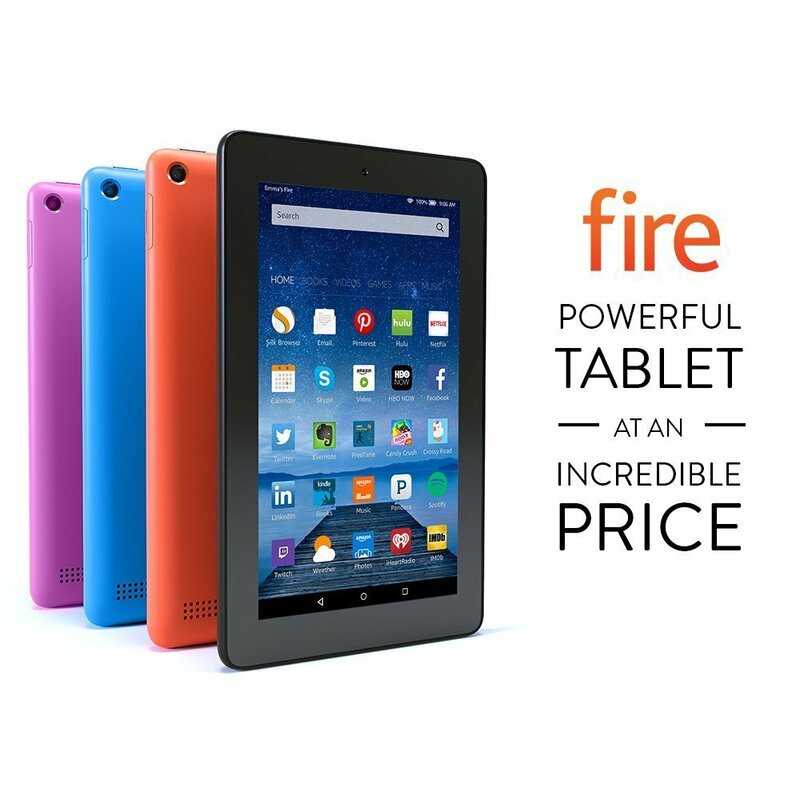 In deals, Amazon has a sale on the Fire HD tablet for Kids. The looming threat to our book industry is bad for authors, publishers … but mostly for you (The Guardian) Like Canada, Australia has mechanisms in place to put locals talent first. Is this really good for Australians? Here’s one point of view. Report: U.S. House blocks access to Google services amid fears of ransomware attacks (9 to 5 Google) Congress is grounded off Google? And Yahoo too? 45,00 People Ask Netflix to stop VPN Crackdown (Torrent Freak) Group wants a meet with Netflix CEO to discuss privacy alternatives. Should you spend nearly $300 on a new Kindle? (The Verge) Is your Kindle Paperwhite good enough or do you need the new Oasis? Amazon’s selection of Kindle Daily Deals includes The Very Best of Kate Elliott by Kate Elliott for $1.99. In Today’s Deals, you can save $50 on the Fire HD 6 Kids Edition Tablet. The Barnes and Noble Nook Daily Find is The Nurses: A Year of Secrets, Drama, and Miracles with the Heroes of the Hospital by Alexandra Robbins for $1.99. The Romance Daily Find is In the Fast Lane by Audra North for $1.99. Cactus Creek (Book 2) by Violet Duke for $99 cents. iTunes’ Weekly Bestsellers Under $4 includes The Last Clinic: A Darla Cavannah Mystery by Gary Gusick for $2.99. I just accidentally stumbled across a listing for the Kindle Oasis with the highly sought after Merlot cover shipping as soon as May 4th. The configuration available is the 3G plus WiFi model without special offers. 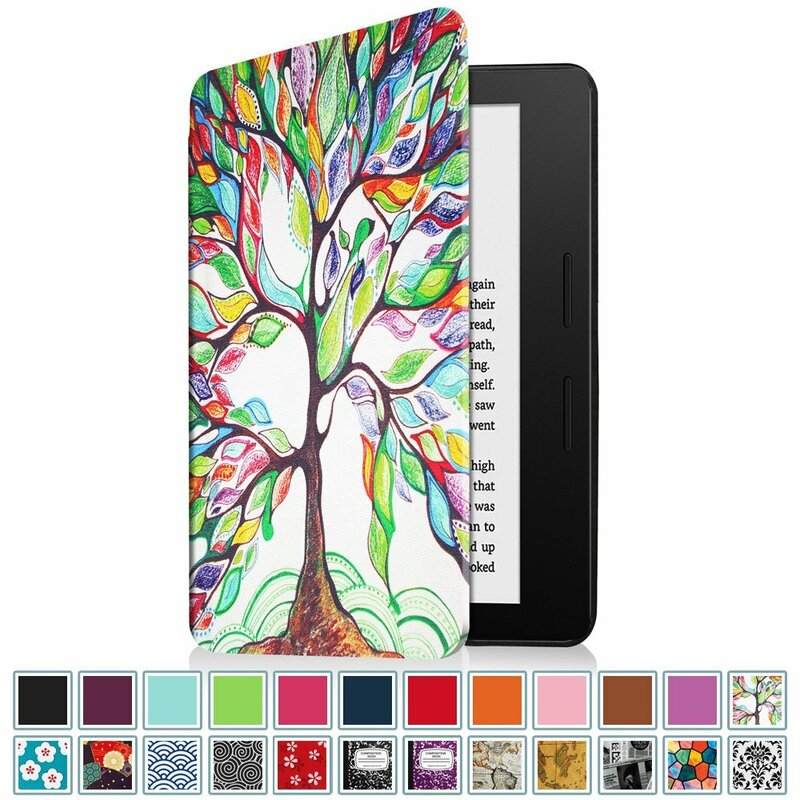 Be warned,though – the price tag for the e-reader and cover is a whopping $379.99! Amazon is also offering a payment plan of five monthly payments of $76 to ease the sting. But, hey, if it is the cover color of your dreams, the May 4th delivery date is much more appealing than some of the June, July and even September dates being discussed on the forums.